Two 39mm three-handers house IWC’s new 32110 calibre. 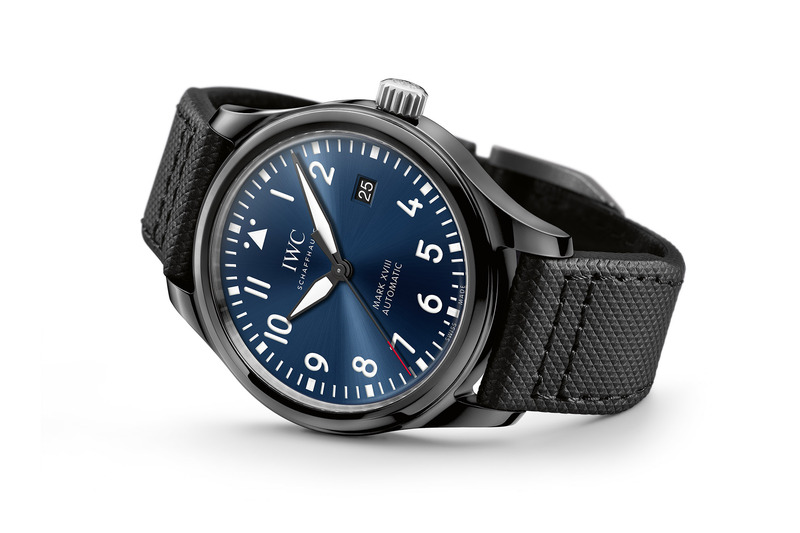 With its focus on military/pilot watches for the SIHH 2019, IWC has launched two 3-hand pilot’s watches under the Spitfire sub-range. 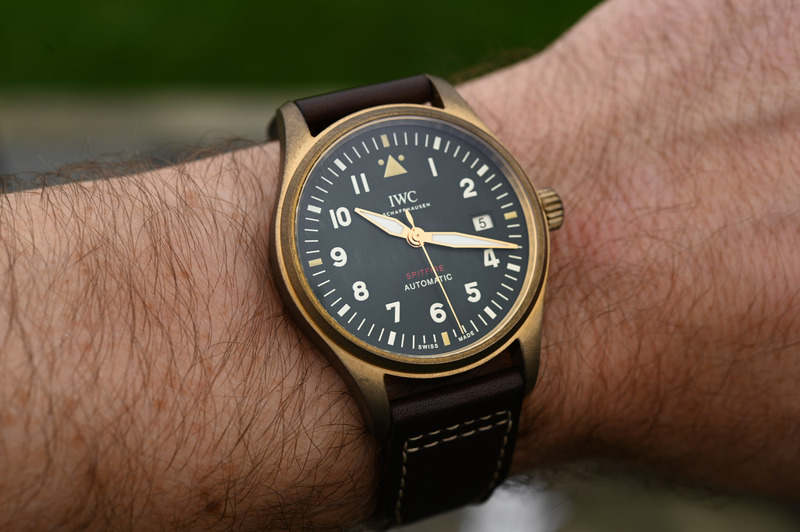 These could have been simple evolutions of the standard Pilot’s Watch Mark XVIII, but there are multiple updates on the model and all models will coexist alongside the Mark XVIII. 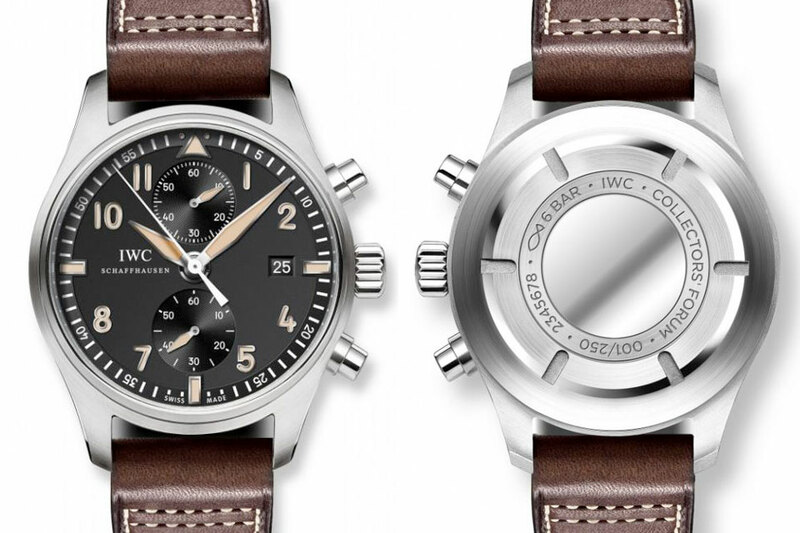 In the same vein as the Bronze Chronograph unveiled a few weeks ago, meet the smaller, manufacture-powered and vintage-inspired IWC Pilot’s Watch Automatic Spitfire Bronze or Steel for SIHH 2019. 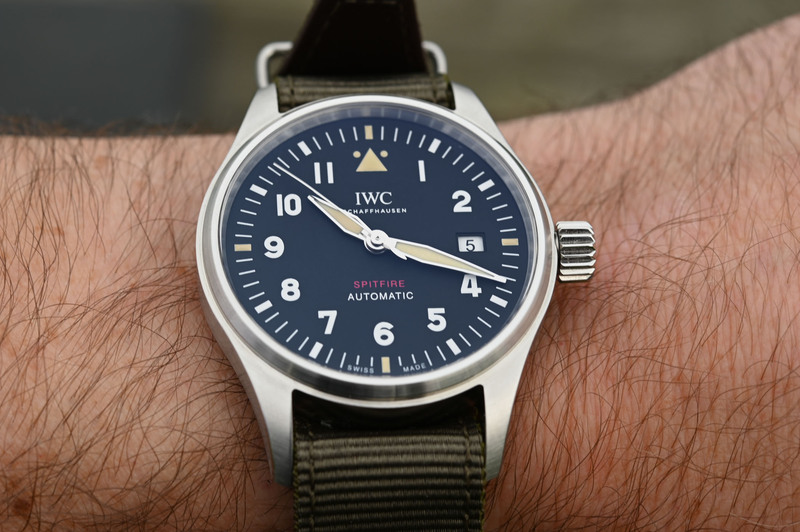 A vintage (and probably field-tested) IWC Mark XI, the inspiration for most IWC pilot’s watches. 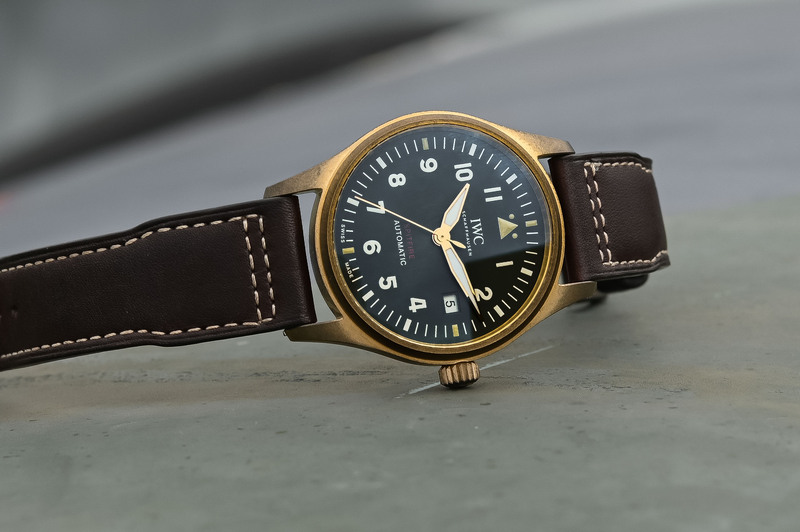 Inspired by the original and legendary IWC Mark XI (a blueprint for IWC pilot’s watches), which was introduced in 1948 for the British RAF (Royal Air Force) and the FAA (Fleet Air Arm), the new Pilot’s Watch Automatic Spitfire models are smaller than the Mark XVIII and simplified three-hand versions of the Pilot’s Watch Chronograph Spitfire Bronze. 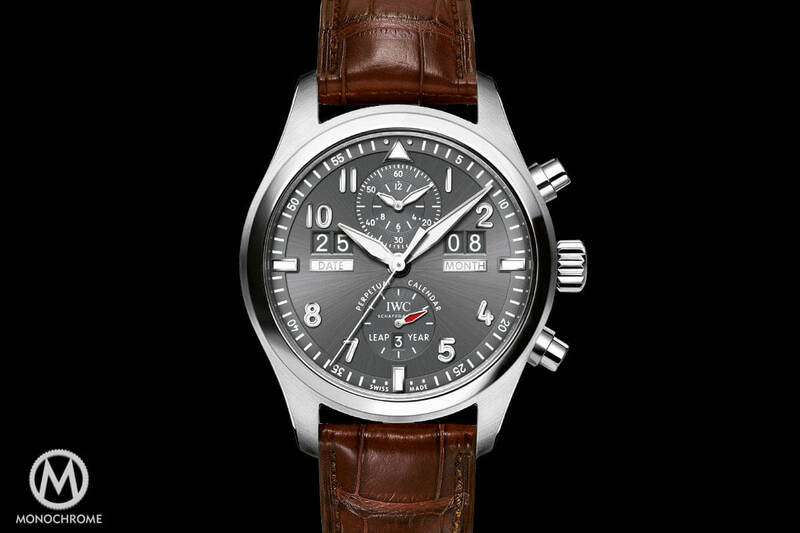 The new IWC Pilot’s Watch Automatic Spitfire will be available in steel (ref. IW326801, black dial) and in bronze (ref. IW326802, green dial). 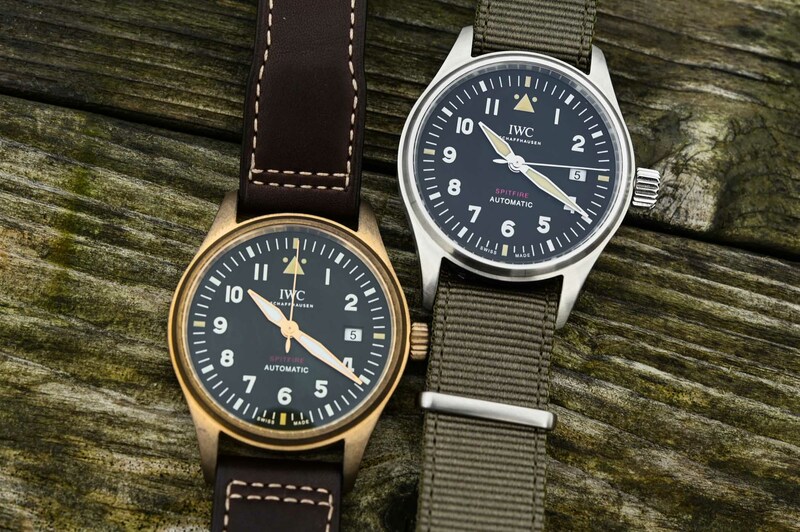 Both bronze and stainless steel cases are available for the new Pilot’s Watch Automatic Spitfire. 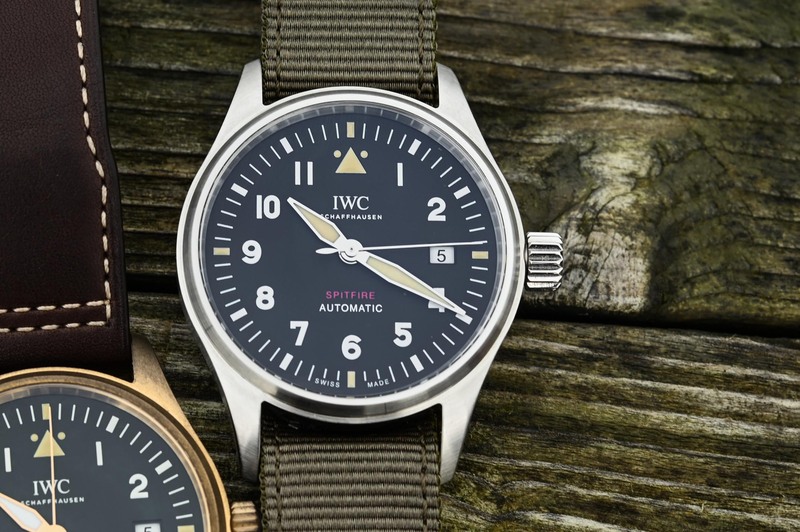 Named after the single-seat Spitfire, the most significant and widely produced British fighter of World War II, the new models continue the tradition of IWC’s simple, classic pilot’s watches of yesteryear. Like the original Mark XI, the new watches also have a soft-iron inner cage to protect the movement from magnetic interference. And while the Pilot’s Watch Automatic Spitfire models would be at home with today’s Royal Air Force, they’re perfectly suited for the modern civilian’s wrist. Let’s take a closer look at the bronze and stainless steel variants. The 39mm case diameter is larger than the 1948 Mark XI (36mm) but smaller than the recent Mark XVIII (40mm). Interestingly, there’s a slight difference in thickness between the steel and bronze cases, with the steel being 10.8mm in height and the bronze 10.6mm. 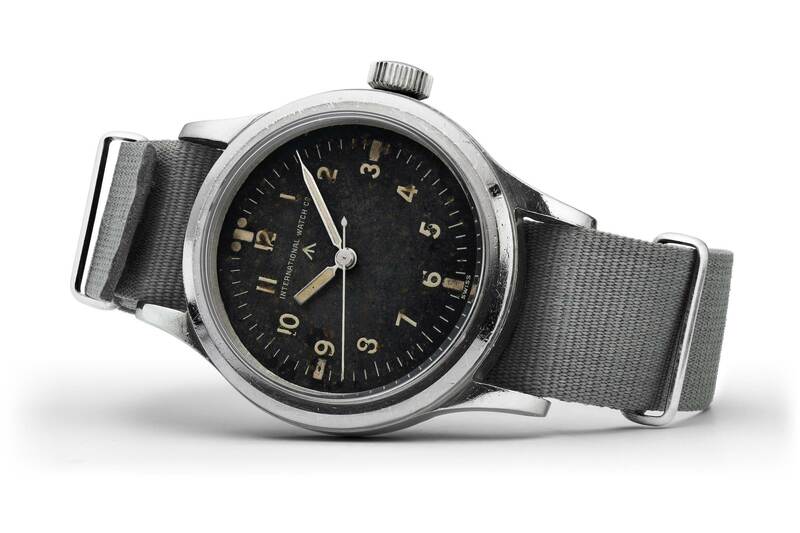 The stainless steel model has a black dial and green textile strap, which is reminiscent of the old Spitfire cockpits. The bronze model has an olive green dial and brown calf leather strap, and as with the recent bronze chronograph, the case will develop a nice patina over time. The caseback is solid steel on the stainless model and titanium on the bronze, with a Spitfire silhouette engraved in the centre. The anti-magnetic cage doesn’t allow for an exhibition back. Both models have large Arabic numerals marking the hours with a date window at 3 o’clock, and a detailed minute track spans the outer perimeter with thicker marks every five minutes. The steel model comes with rhodium-plated hands, while the bronze model sports gold-plated ones, all with the signature Spitfire series propeller shape and ample luminescence. A domed sapphire crystal with anti-reflective coating (both sides) is present on both models and they’re water-resistant to 60 metres. The glass is also protected against sudden drops in air pressure. IWC has moved to in-house movements for both models, which is a big step up from the calibre 30110 in the Mark XVIII (modified Sellita SW-300). 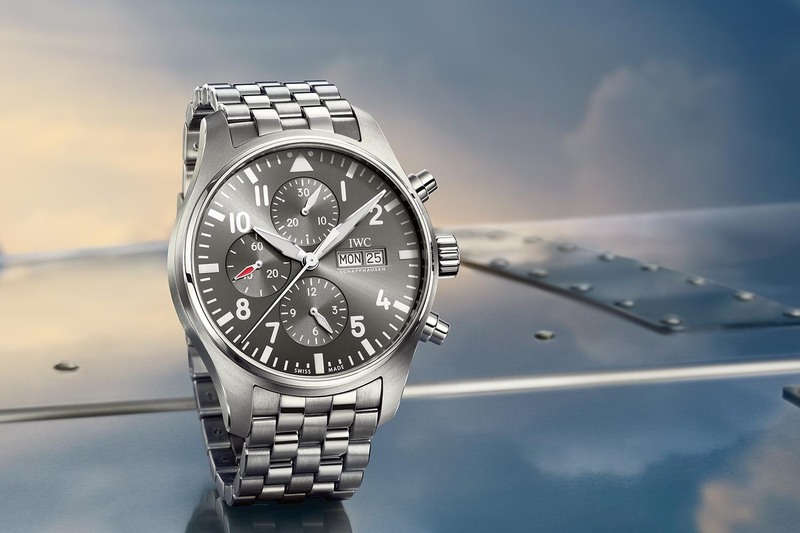 The new pilot’s watches introduce IWC’s latest 32110 automatic calibre (developed from its 32000 calibre family), which has 21 jewels, beats at 28,800vph (4Hz) with a hefty 72-hour power reserve. Functions include central hours, minutes and seconds (hacking) with a date complication at 3 o’clock. The broader series of new Spitfire models will all have in-house calibres this year as well. 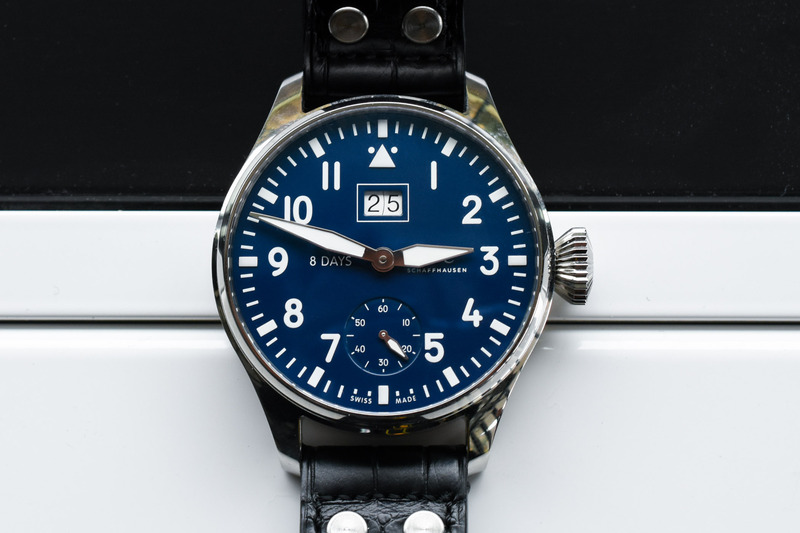 The new IWC Pilot’s Watch Automatic Spitfire models are solid entry-level watches for the brand that replace outsourced Selitta movements with in-house calibres. They follow in the footsteps of the early Mark series and remain faithful to the simple yet sophisticated Mark XI. Price is expected at EUR 4,900 for the steel model and EUR 5,500 for the bronze edition. 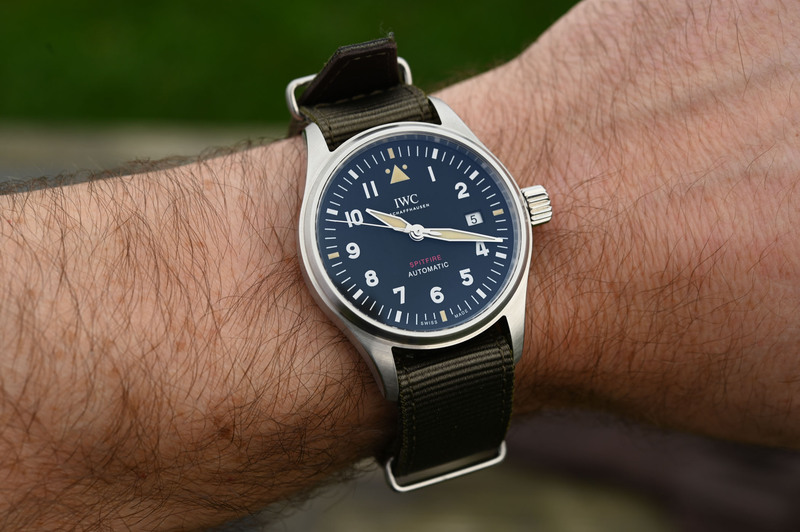 More details at iwc.com. So, the new model is just the same as the old model. Overpriced, with an annoying date. Hamilton need to make a MkXV to bring IWC up short. Yeah, wish the date wasn’t there, or at the 6 o’clock position if it has to be.